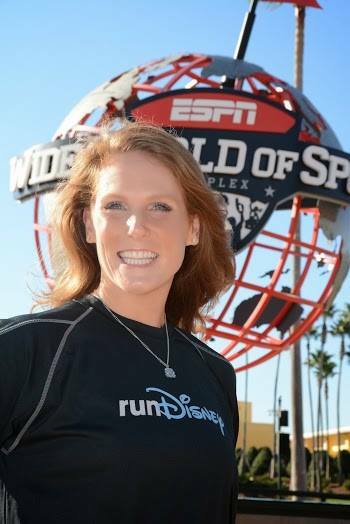 In this episode, we conclude our 2-part interview with 2014-2015 runDisney Specialist on the Disney Parks Moms Panel, Faith Dority. In part 1, we talked about where her love for Disney began and how it grew, becoming a runner, some runDisney tips, and becoming part of the Disney Parks Moms Panel. Before we continue the interview, I’d like to thank those of you who stepped up to help me get to and cover the D23 Expo for Stories of the Magic. A special thank you to Kris and John, who donated this week to help me out. I now only need about $30 to completely cover what I need for the weekend! You all rock! If you can help me with that $30, please PayPal me whatever you’re willing and able to support me with using podcast@storiesofthemagic.com as the receiving address. Last time, I need 16 people to do $5, now if just 6 people contribute $5 we’re there! Can you do $5? For everyone who contributes, I will publicly thank you on the show (unless you’d prefer that I didn’t), and if you have something special you’d like to see coverage of, I’ll do my best to fulfill your request! After the interview, I’ve included a couple of clips of what I shared from the 2013 Expo to give you a taste of what you can expect this time. The first, an interview I did with an Imagineer you’d probably never get to hear from otherwise, and the second, Animator Glen Keane’s Legends Award speech. Shameless Plug Time—including her next runDisney event. This entry was posted in Blogger, D23, Disney Moms Panel, Disneyland, Imagineers, Podcast, runDisney, Walt Disney Company, Walt Disney World. Bookmark the permalink.